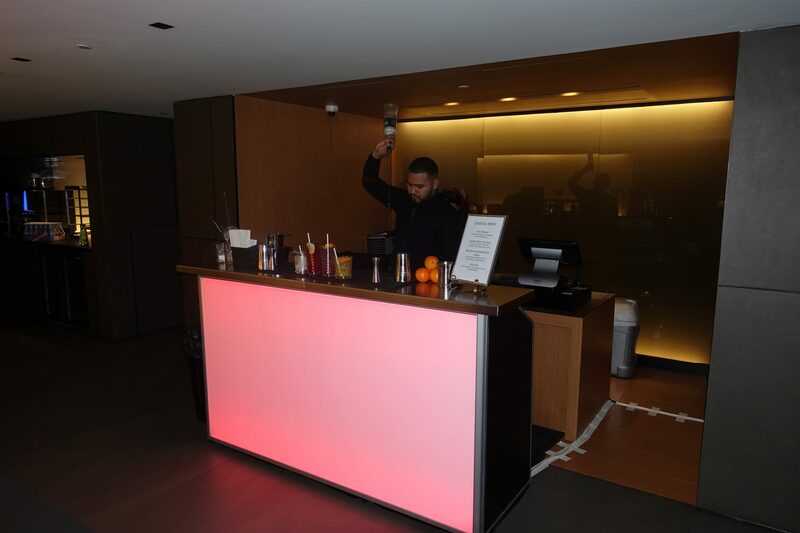 Our New Years mobile bar hire helped two very different parties become there best this New Years Eve, a small private party in a residence in Esher and a larger scale event on the 8th floor of the Riverbank Plaza Hotel in London. No party is complete without drinks and drinks are always best served from a bar, particularly if it is manned by a couple of professional flair bartenders & mixologists! The first of the parties took place in the leafy suburbs of Esher, Surrey where we returned to a private residence we have worked at before. 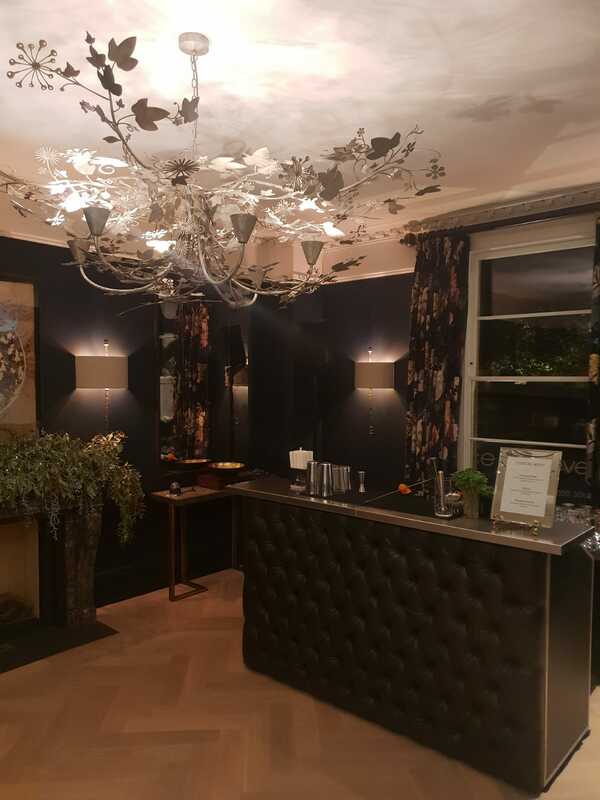 This event was small and intimate with around 30 people in attendance, our luxury black chesterfield mobile bar was the perfect fit – both for the decor and the exclusivity of the party. It is always important to pick a theme or style for your event, luxury was certainly the running theme for this New Years party and the mobile bar with a selection of high-end cocktails was the perfect accompaniment. Here at Ace Bar Events we have a wide range of cocktails in our locker, from all the classics to some of our own original creations. We will put a menu together with you before any event, tailored to your branding, the tastes of your guests and much more if you desire. The client our New Year mobile bar hire in Esher opted for a Rhubarb Spritz, Cosmopolitan and a Mojito. A good mix! 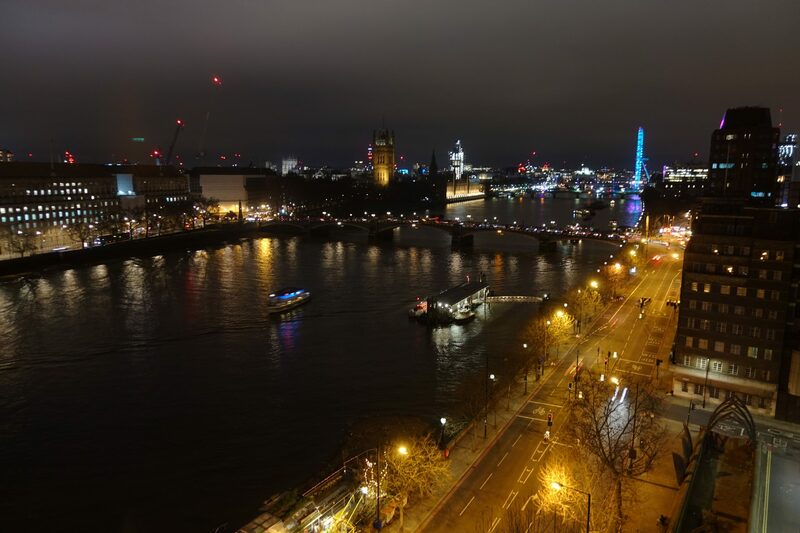 The second of the New Years parties took place in central London at the Riverbank Plaza Hotel with one of the best views in the city on New Years Eve. Situated just down the water from the London Eye and the London New Years firework display, the 100 or so guests of this event had one of the best seats in the house for what is one of the world’s largest firework displays. 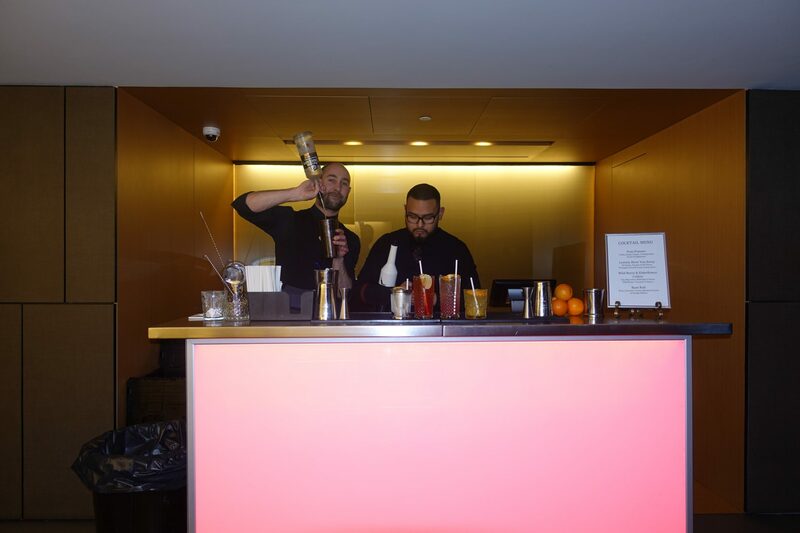 Featuring one of our 2 meter LED mobile bars, the New Years mobile bar hire service for the Riverbank Plaza also featured two of our best flair bartenders as well as there own unique menu of cocktails. Up on the 8th floor with a terrace, the guests were a little torn at some points in the evening between the views across the Thames and our stunning cocktails. Suffice to say the cocktails won in the end. Considering they were a Rum Roll, a Wild Berry and Elderflower Collins, the Pom Pom and Lemme Blow You Away – you can probably see why! Working with another event company, the client opted for one of our LED mobile bars which feature full DMX control allowing them to display any colour on the spectrum or cycle through colours in a continuous fashion. Although the bar wasn’t quite as colourful as the London firework display, it did a great job of acting as a focal point for what was another grand New Year party. If you are interested in our New Years mobile bar hire service, New Year mobile bar hire, flair bartender hire, mixologist hire – or anything else. Then please do not hesitate to get in contact.